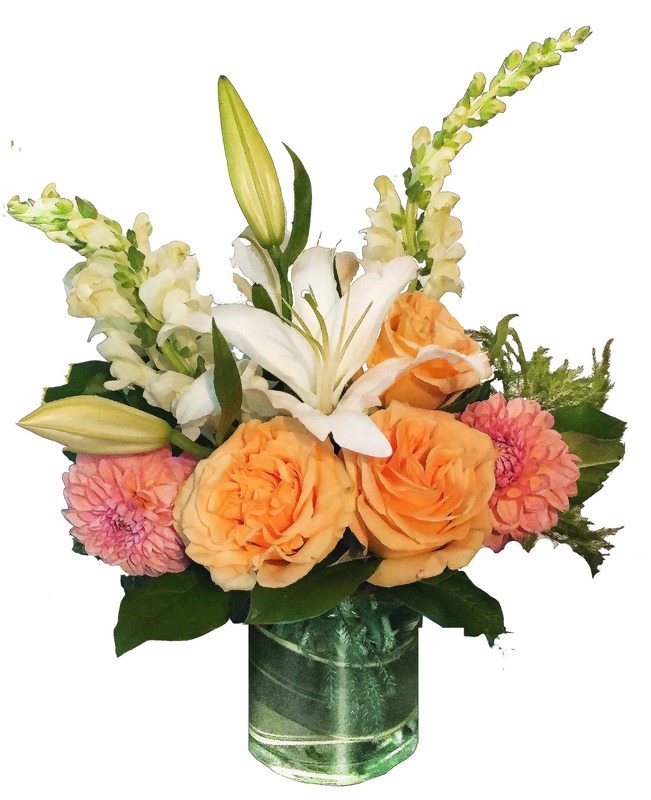 A little bit of sunshine and smiles are seen in this lovely arrangement of Lilies, Roses, Tulips, Stock and various greens. It's a nice light ray of yellow, white and orange sunshine to brighten up anyone's day! Perfect for a new baby, congratulations or a birthday celebration!